Little Ran Uruma can't wait to grow up and become a sorceress like her mother, so with the help of a magical pair of sneakers, she transforms into an adult and sets off! Her father and older brother Jin try to keep her safe at home, but Ran is determined to advance her powers and have adventures of her own! 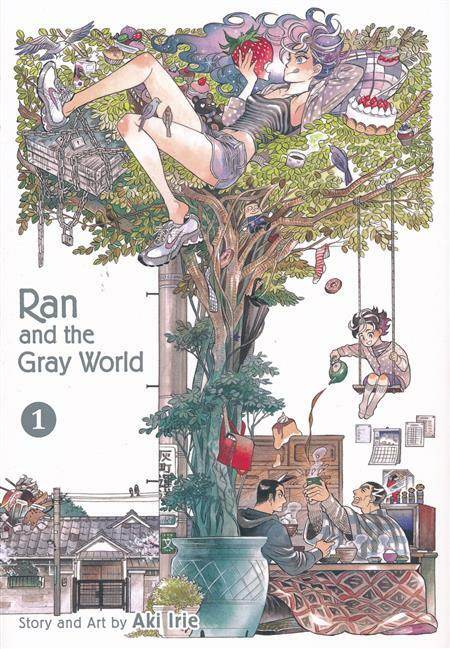 Ran and the Gray World is a beautiful and imaginative work that has the feel of classic works such as Little Nemo in Slumberland with a mix of sexiness and magic realism that will appeal to today's comic and art fans.